Yesterday I was talking to an expectant momma about prenatal yoga. I was so scared of yoga a few years ago. I made every excuse in the book why I didn't do yoga. First of all, I tried to do the P90X yoga series and it about killed me. It was hard, so so hard! I wasn't flexible. I don't have that much upper body strength. I didn't want to be bending over and sweating in front of people I don't know. And heaven forbid I fall over in a move and everyone laugh at me. 1) It is a great starter yoga to do to learn the basic moves first of all. Most of the women in there have not taken yoga before (at least in my classes) So we are all basically beginners. 2) You don't have nor can you be super flexible. We have bellies in the way for most of the moves so we can't bend as easily as the stereotypical yoga shaped body. You won't be doing major twisting movements either, just light twisting which is good to help keep the plumbing happy. 3) Most of the moves are held longer and not going from one move to the next super fast. This is a double edge sword in a way. Because sometimes it is easier to move out of a move then to hold it longer because it takes a lot of strength and breathing to hold a move. Think about a low goddess pose, (a super wide squat) Imagine holding that for a minute. You are going to feel the burn. Now why do they hold the move longer? It is a way to help you learn to accept and give into the discomfort and get through it. Preparing you for LABOR! A good long contraction is about a minute long. You have to breath deep through it to get through it. Holding a goddess pose for a minute, you have to breath through it and not give up. So each move think of it as a way to help you "train" for labor. Focus your breathing to be deep and a way to get through each and every contraction! 4) There is Air Conditioning! They will have the ac on for us since we tend to get overheated easier/feel hot easier. So don't worry about it being hot yoga. If you feel uncomfortable during your class you can totally ask to sit down or in our case, they adjusted the temperature to be more comfy for us. 5) You still get a workout. Because we are pregnant. It isn't going to be super easy. Even the most basic of moves will be a little hard because our center of balance is off and the baby is taking up valuable lung space. So don't think you don't work. You will still break a small sweat and work a little but it is no where as intense as a regular yoga class. 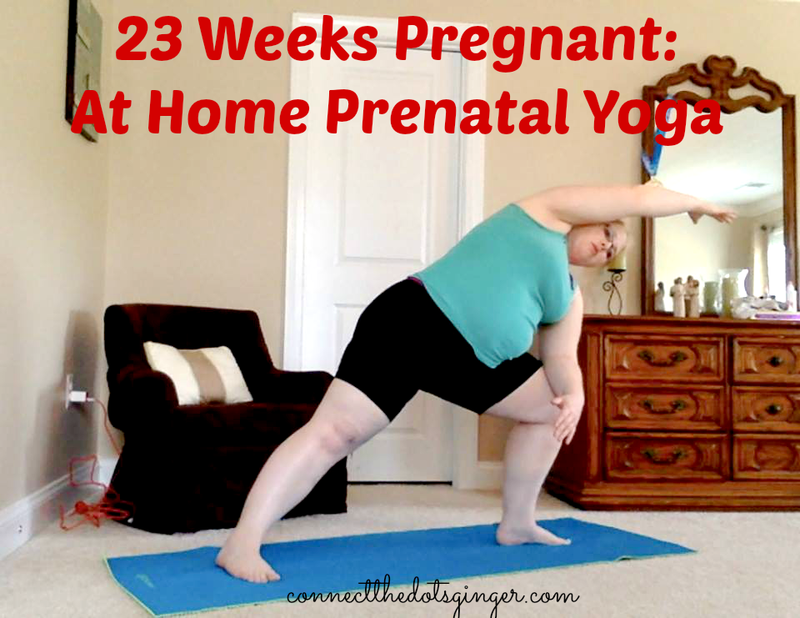 Again, mine weren't I can't speak for every prenatal yoga. I suggest talking to the teacher before class and asking questions! But I know you will feel amazing after!